The bite is still going strong offshore of Clearwater Beach FL. There is red tide in the bay and nearshore waters in our area but it has no affect on the deep sea fishing and offshore waters. Here’s a few pictures from this week’s charters. Well it’s hot and as usual the fishing is great right now. Most of our charters lately have been the 3/4 day targeting either in season fish to keep and eat or catch and release gamefish. For the crowd that wants to keep fish right now Grouper and hogfish are the best on the 3/4 days and Amberjack on the full days. For catch and release fishing we are targeting Goliath grouper, sharks and barracuda. These are also a 3/4 day charter which is 6 hours and gives plenty of time to catch some trophies. We are well into the 2018 Red Snapper season and so far the fishing has been excellent. Our full day and extended day trips are enjoying limits of big red snapper, grouper and mangrove snapper. Our 3/4 day charters continue to have success with gag grouper and hogfish, while our half day charters are doing good targeting hogfish. This is also the time of year that our shark trips and goliath grouper charters are in full swing. This will continue all summer. Book your deep sea fishing charter with FishEye Sportfishing and get in on the action! Call captain Brandon at (727) 243-4082. This entry was posted in clearwater, Clearwater Fishing Charters, clearwater fishing report, Clearwater Florida Fishing Report, Fishing Charters, Florida, Goliath Grouper, Grouper Fishing, gulf of mexico, kingfish, red snapper, Uncategorized and tagged clearwater beach fishing, Clearwater Fishing Charters, Clearwater Florida Fishing Report, Deep sea Fishing, deep sea fishing charters, fishing charters Clearwater Florida, Grouper Fishing, red snapper. Grouper, Snapper, Kingfish and much more are chewing like crazy here in Clearwater Beach! Nearshore, deep sea and inshore fishing is as good as gets! Book your charter so you don’t miss out on the best fishing of the year. Spring Break fishing is in full swing here in Clearwater Beach Florida. 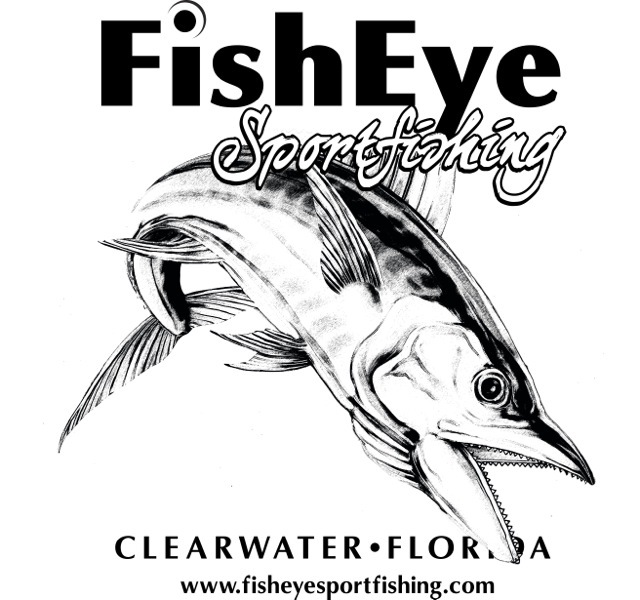 Kingfish, Grouper, Snapper and much more are currently moving in to our area. It’s a great time to head offshore to do some deep sea fishing!! Book your charter now! This entry was posted in clearwater, Clearwater Fishing Charters, clearwater fishing report, Clearwater Florida Fishing Report, Fishing Charters, Florida, Goliath Grouper, Grouper Fishing, gulf of mexico, kingfish, red snapper, Uncategorized and tagged amberjack fishing charters, clearwater beach fishing, Clearwater Fishing Charters, Clearwater Florida Fishing Report, Deep sea Fishing, deep sea fishing charters, fishing charters Clearwater Florida, Grouper Fishing, kingfish, raymarine, raymarinebyflir, red snapper. This entry was posted in clearwater, Clearwater Fishing Charters, clearwater fishing report, Clearwater Florida Fishing Report, Fishing Charters, Florida, Goliath Grouper, Grouper Fishing, gulf of mexico, kingfish, red snapper and tagged clearwater beach fishing, Clearwater Fishing Charters, Clearwater Florida Fishing Report, Deep sea Fishing, deep sea fishing charters, fishing charters Clearwater Florida, Grouper Fishing, kingfish, red snapper. Cold water temps lately have adjusted the deep sea fishing pattern. Hogfish and Amberjack have been the popular target lately. The reason is due in part because to both species don’t mind the cold water and both are in season for harvest. While fishing methods for the Hogfish and Amberjack are vastly different, it is possible to target both on a full day charter. The half day charters are targeting hogfish and sea bass and have been very successful this past week. We are starting to book up for spring break, so make sure you plan early as this year looks to book up early, with everyone looking forward to some Florida Sunshine! This entry was posted in clearwater, Clearwater Fishing Charters, clearwater fishing report, Clearwater Florida Fishing Report, Fishing Charters, Florida, Grouper Fishing, gulf of mexico, red snapper, Uncategorized and tagged amberjack fishing charters, clearwater beach fishing, Clearwater Fishing Charters, Clearwater Florida Fishing Report, Deep sea Fishing, deep sea fishing charters, fishing charters Clearwater Florida.